Installing Carpet, Hardwood, and Laminate Flooring in Lake Forest, IL since 1975. Covering just over 17 square miles Lake Forest, IL is one of Illinois most rapidly developing communities. Home to several the Chicago Bears and Fortune 500 companies like Solo Cup, Brunswick, Prestone, and Trustmark. 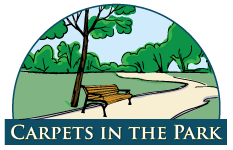 Carpets in the Park has been proudly serving the Lake Forest area for over 30 years. Over the years, our reliable service and competitive pricing have been the bedrock of our relationships with the residents of Lake Forest. National carpet companies offer complicated sales and sneak in extra charges. At Carpets in the Park, we offer transparency, quality products, and excellent service. See all the flooring services we offer for residents and businesses in Lake Forest, IL.